Moor Row is a West Cumbrian village situated about 2.5 miles (c. 4 Kms.) to the north of the market town of Egremont. Formerly, it was at a railway junction which was used for passenger and goods traffic, especially iron ore which was extensively mined in the area. The development of the railways and iron ore mining in the latter half of the 19th Century and the early part of the 20th Century led to the immigration of families from other traditional mining areas. Moor Row became the new home for many former Cornish mining families who brought with them the familiar names of Cornwall, such as Padstow and Penzance Street. The Cornish men and women also brought with them a tradition of Non-Conformist worship. Until well into the 20th Century there were three Non-Conformist chapels in the village - Wesleyan, Primitive Methodist and United Methodist Free Church. In the late 20th Century and early 20th Century a modern science and technology park has been developed at Ingwell on the outskirts of the village. The park has been developed in the grounds of Ingwell Hall, the former home of the Lindow family. Moor Row is also on the first day's walk of the 'Coast to Coast' long distance footpath (St Bees to Robin Hood's Bay) developed by Alfred W. Wainwright and the 'C 2 C' cycle route. 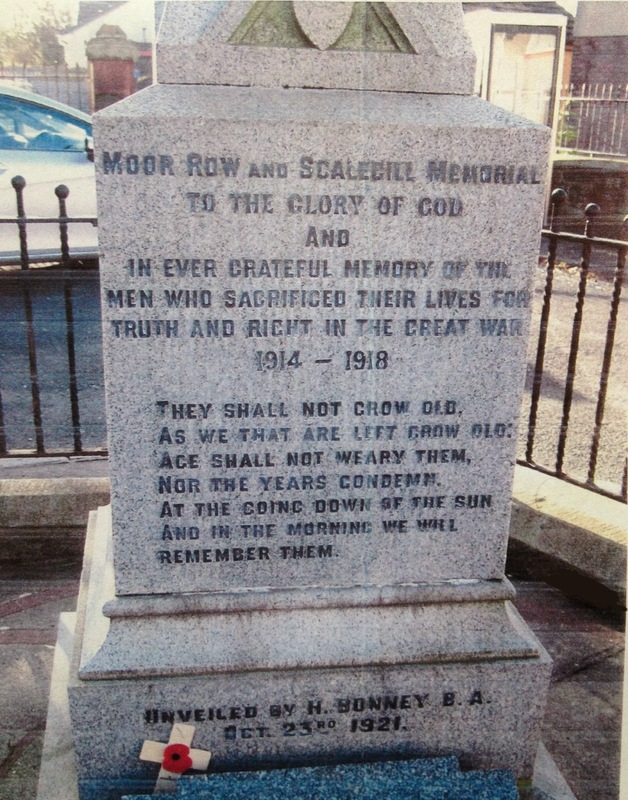 The Moor Row and Scalegill War Memorial [Photograph No. 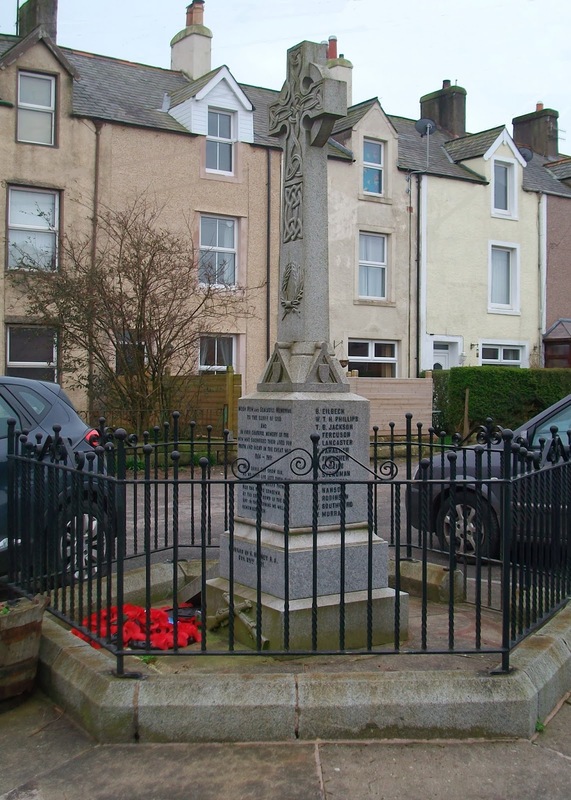 1] is located in the centre of the village and commemorates the villagers who died in the two World Wars. It was originally dedicated on Sunday 23 October 1921 by Mr. H. Bonney, B.A., with an inscription on the front face of the plinth [Photograph No. 2]. 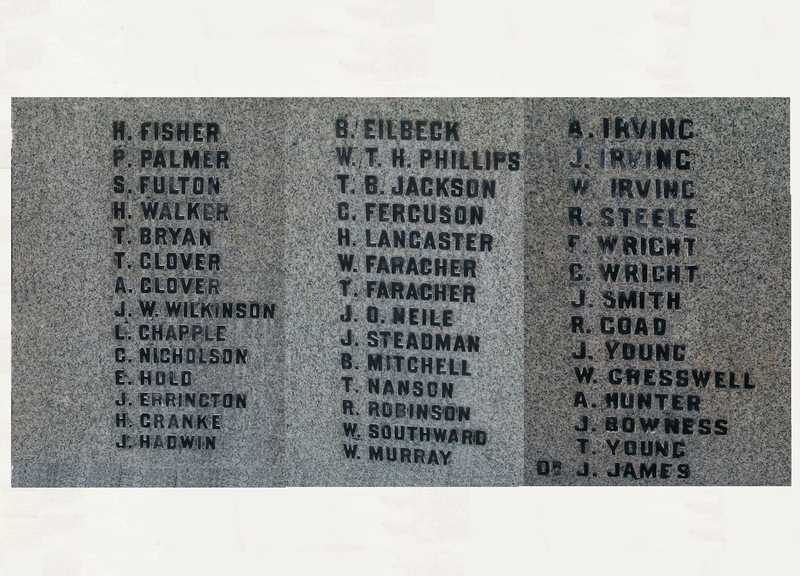 There are 42 names listed on the memorial from the 1914 - 1918 war which are engraved on the other three faces of the plinth [Photograph No. 3]. On Remembrance Sunday 14 November 1948 a separate tablet was unveiled at the front of the memorial, dedicated to the memory of the 12 villagers who lost their lives in the 1939 - 1945 war. The names are also listed on the tablet [Photograph No. 4]. It was unveiled by Regimental Q.M.S. J.M. Thompson, R.A.M.C. And in the morning, we will remember them. Unveiled by H. Bonney, B.A. 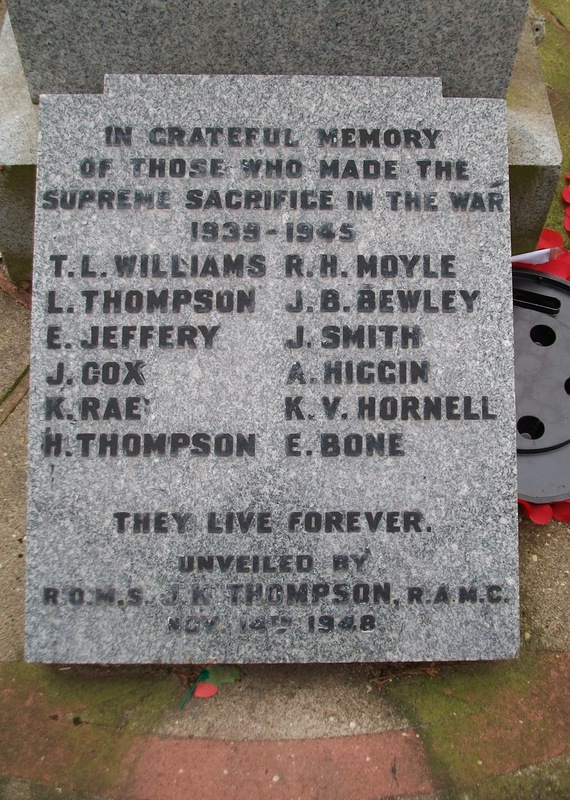 This article is dedicated to the memory of the villagers of Moor Row who lost their lives in the two World Wars.